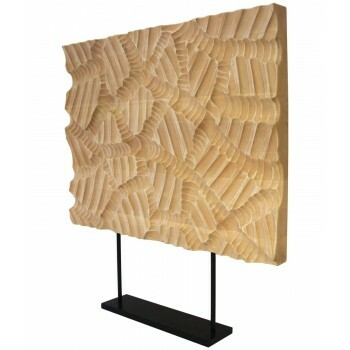 Decorative panel signed Giuseppe Rivadossi, Carved wood, iron frame, Circa 2010, Italy. Measures with base: Height: 91 cm, width 64 cm, depth: 7 cm. Without base Height: 84 cm.